Let the digital marketing and existing social media experts of your company take the command here. If you don’t have a worthy social media expert for the job, you can take help from an outside friend who is an expert in the matter. And if not, read this blog for the right advice. A candidate desiring the position of social media expert in your company should have a strong background of working in the same industry niche as your clients are. They should know about the industry competitors, target audiences, authority guidelines for marketing regulations, latest marketing trends and techniques, most suited social platforms, and about the best marketing strategies for achieving a different set of goals, etc. By asking the right questions to your candidate, you can easily evaluate their knowledge about these. Who are the nearest competitors for ABC brand? Knowing about competitors and their marketing strategies is the first thing every social media expert should be aware about. Can you recall the most successful social media strategy for any of those brands that contributed heavily in their brand building or conversion? An expert always keeps a check on what marketing strategies competitors are executing and what results they are getting from them. Let the expert explain about those strategies, and don’t stick with the most successful ones only. Let them explain the reasons for a failed strategy too. What recent algorithm changes have caused a heavy drop in the social media referral traffic to the websites? How do you suggest to revamp the traffic from social marketing? Social media platforms make algorithmic changes more frequently than search engines. Knowing about the recent changes is expected, but knowing also how to tackle those changes is what you should especially look for. An expert is expected to have a hands-on experience with a mix of social media platforms. Being an expert in ‘all content’ based Facebook and Twitter, but having not-so-sufficient experience with ‘image content’ based platforms like Instagram and Pinterest is a case with many experts. In those cases, it’s better to just move on with your search to find an even better social media expert who is equally fluent & comfortable with using all the major social platforms (Facebook, Twitter, LinkedIn, Pinterest and Google+). As different platforms have a different base of primary audience, and that require different styles of content (text, image, or video based) for better targeting, it’s vital that your future social media specialist should understand the purpose, process, settings, and features of each social media platform. By knowing why people use these networks in the first place, your social media expert can create more refined content, run more targeted marketing campaigns, build a brand voice across the respective platform, and so help the client get the most of their ROI. 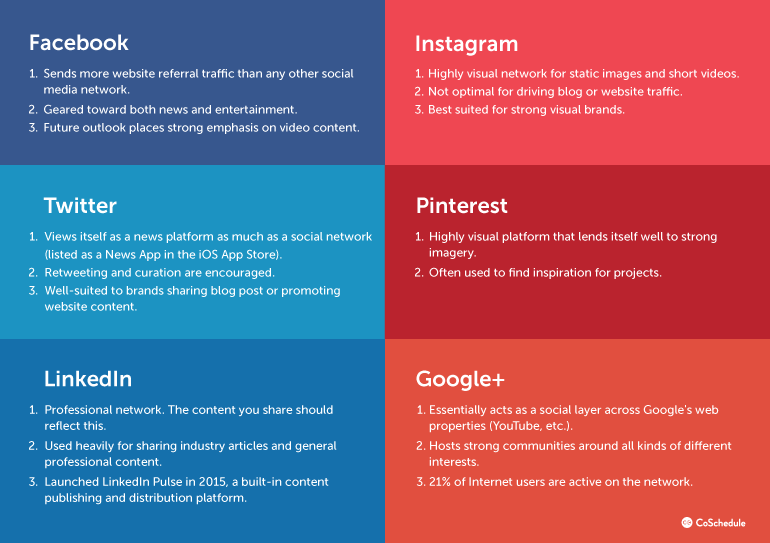 Which is the most suitable social website for marketing any specific brand (name your industry here) and why? Every social website has its own uniqueness that makes them fit or unfit for a specific industry. For example, Twitter has the best B2B traffic while LinkedIn is the best professional network. An expert knows how to harness the growth opportunities from each of these platforms. Which is the least suitable site for the same purpose? The goal of any marketing campaign is to drive conversions and increasing profits, and if a marketing campaign fails at achieving that, it’s a failed attempt. A true social media expert knows how to strategically channelize their social media activities toward generating leads/sales/ conversions. Tell us about your most successful conversion strategies in the previous or current company. A true social media specialist must be having a good track record of a series of successful marketing campaigns with higher conversion results. Let them explain about one or two of them in detail, and inspect their strategic skills. How do you choose which influencer to partner with for increasing conversion and how do you proceed with lobbying them? Influencer marketing is about subtle and consistent lobbying the influential personalities on the web (who has a huge base of loyal followers who listen to his/her advice), and convincing them to promote your brand, service, or product from their website or social profile page with a goal to maximize conversion. Ask the candidate how they proceeded with influencers in the past. A true expert should have the necessary lobbying skills to maximize their chances of success in it. How do you utilize the analytics to identify new conversion opportunities? An expert should know the difference between a thousand sessions from Facebook, and just about a 50 or 100 valuable sessions from Twitter or LinkedIn. Unlike most others, a true social media expert will utilize analytics data wisely, and build marketing campaigns that will guide the whole efforts toward a specific conversion goal. Being an expert social media marketer doesn’t just mean creating the right marketing strategies and executing them on a regular basis, but it’s also about having the right skills to manage things in times of crisis. A social media expert has to build and manage communities on different social platforms, and it falls under their regular tasks. Many experts can be skilled in performing these regular tasks efficiently, but not all can be as expert as one who can manage things in times of crisis. Sometimes, these crises will be real; occurring because of the clients’ mistakes, such as a bad service or a wrong product. Other times, these crises may be false, as generated by false users, or from computer-generated spams, such as a spam review or a real review but with false interpretation of the event. Interacting with complaining users, apologizing without compromising on the brand tone and brand dignity, and providing explanations to the users at large to lessen the negative impact of the crying voices on online social community. At the same time, focusing on raising the volume of positive content, and the positive voices on the site as a countermeasure. For this, your social media expert should be involving the reputation management team of your company as well, to prepare and execute the most effective strategy. Involving other team members during the times of crisis is exactly what a true expert should be capable of. Working under high pressure should be normal for a social media expert. How do you handle negative comments or a brand reputation crisis on public profiles? Depending on how they define a ‘crisis’ will tell a lot about how much experience they have. If they had not faced any real crisis, they should at least be familiar with the famous brand reputation blunders. Dealing with negative comments properly is vital to this position. Ask them for examples. What’s your ideal strategy for tackling negative comments? Give an imaginative scenario of reputation blunder on online profile pages, and let them explain the step-by-step strategy for the same. Here, check for the presence of mind, problem-solving skills, and value for time. Most agencies/companies fail to reap desired results from social media because they don’t know how to soundly check the potential of the candidates to serve this responsible and dynamic role. Now that you know what to look for in a perfect and productive social media manager, you’re all set to hire the best resource for the position. If you follow the step-by-step process described in this blog while hiring a social media expert, you can be rest assured that you’ll get the best value for money and a perfect representative for your business/clientele.